Raleigh Nyenhuis (right) works with the Sea Island Junior Naturalist Program. Outdoor exploration tours offer a backstage pass to Sea Island’s indigenous landscape. On the surface, Sea Island’s natural beauty adds to the aesthetics of coastal living. But the area’s varying terrain—from marshes and maritime forests to sandy beaches and pristine waters—actually provides complex ecosystems for a diverse array of plants and animals. Sea Island, with the help of a team of naturalists, fully embraces its environs with a variety of specialized tours designed to inspire and educate the whole family. An equally vibrant area, the maritime forest is populated with majestic stands of ancient live oaks, as well as other old-growth trees like red cedar, holly and pine. The canopy of interlocking branches provides a luxurious haven for wildlife, while it conserves groundwater by reducing evaporation. It also protects underbrush from forceful winds and damaging salt spray. The Marsh Habitat and Wildlife Walk is a shorter tour that takes participants of all ages to explore on foot. The one-hour guided adventure leads nature enthusiasts into the heart of two major ecosystems: the marsh and the maritime forest. Participants shouldn’t forget to bring along their binoculars to catch a glimpse of the best views of the environs and important inhabitants. 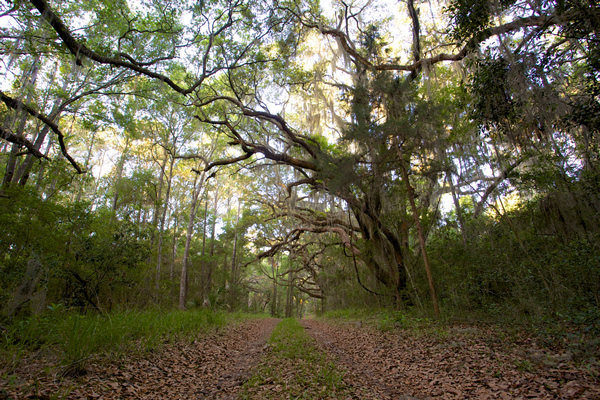 For another perspective on a biologically rich space, the Cannon’s Point Ecology Tour takes participants for a two- to three-hour guided exploration of Cannon’s Point, a 600-acre tract of maritime forest, salt marsh and tidal creeks, located on St. Simons Island. The geological preserve has been transformed into a living laboratory for nature-lovers of all ages, where plantation-era ruins stand as a reminder of the area’s history. 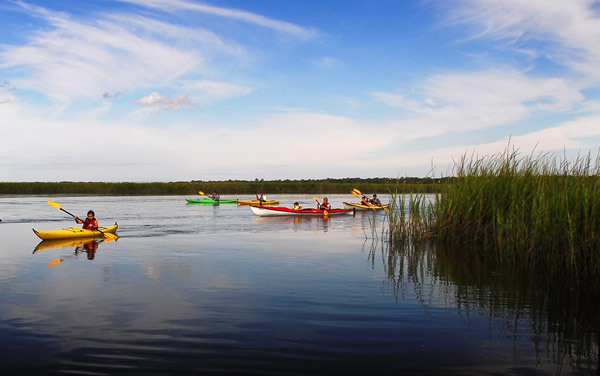 If aquatic exploration is appealing, tours via boat or kayak get nature enthusiasts gliding through the marshes and along the shore, bringing coastal zoology and beach biology to life. Although there is a minimum weight limit to participate in the kayak tour, guests and members will appreciate this creative combination of a medium-intensity workout with an outdoor nature learning experience. Binoculars can help participants who want to catch a glimpse of bottlenose dolphins playing in the ocean. Kayak tours get guests and members out on the water. Finally, a hands-on interactive experience for younger adventurers, the Sea Island Junior Naturalist Program (JNP) is new for 2015. 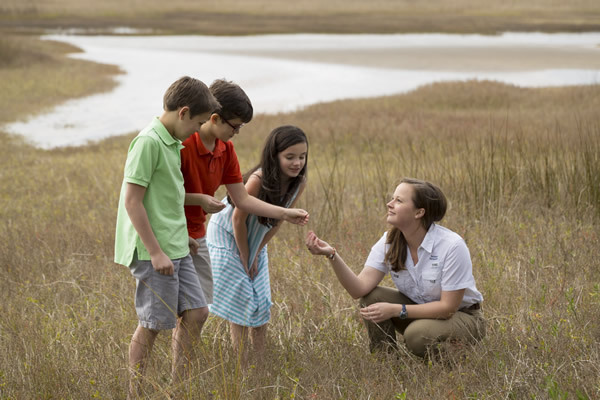 “Together with a naturalist, kids between the ages of 7 and 14 will explore the beach and marsh ecology,” explains Anne Harvey, activities manager at Sea Island. “They will also experience ocean seining, crabbing, soil sampling, plankton discoveries under the microscopes and much more.” Additional activities include up-close-and-personal encounters with native species in a recently opened 220-gallon touch tank. At Sea Island, nature is not just a backdrop for activity. No matter how you get around—on foot, in kayaks or Jeeps, alone or with a group—you will likely learn more than botanical and zoological details. You may discover, as others have, the vibrant nurturing power of nature.